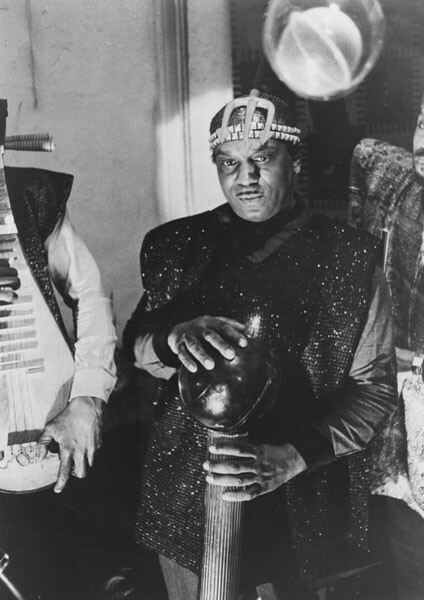 For the latest installment in the Homeroom series, scholar, gallerist, and occasional Reader contributor John Corbett will present Sun Ra 101: Man From Saturn. The event happens at 9 PM on Tuesday night at the Hungry Brain, with a five-dollar suggested donation. Corbett has been deeply invested in the music of onetime Chicagoan Sun Ra for decades, writing about his work at length in his book, Extended Play; releasing previously unheard Ra music on his Unheard Music Series imprint; and helping to curate a traveling exhibition of artwork, music, and rare Sun Ra ephemera called Pathways to Unknown Worlds: Sun Ra, El Saturn & Chicago's Afro-Futurist Underground, 1954-1968. Corbett famously saved a huge treasure trove of Ra materials from a Dumpster in August of 2000, when the home of former Ra manager Alton Abraham was being liquidated. Most of those materials are now housed at the University of Chicago Library, while the recordings are held at Creative Sound Archive at Experimental Sound Studio. Corbett will discuss Ra's music, history, and singular aesthetic, and he's bringing along a handful of artifacts from his personal collection. Joining Corbett will be percussionist and bandleader Mike Reed, whose project with Jason Adasiewicz, Living by Lanterns, was formed as part of a commission to create new work from the Sun Ra recordings at the Creative Sound Archive.